Well another season on the Fraser has come to an end for us, our boats are put away in the shop, waders and lifejackets are hanging and our reels are heading to the repair shop for some love’n. For the next several weeks we will take a well deserved break, then begin our preparation for the 2014 steelhead season and spring Sturgeon and Chinook fishery. Below we have included a pre-season report as well as some Christmas Gift Specials from STS. For those of you who have already started your Christmas Shopping, STS has several gift ideas for the angler in your home. Our River seminars are very popular and sell out each year. For 2014 we are offering our Steelhead Seminar, Sturgeon Seminar and River Jet Boating Seminar. You can find more information on this site or go to our seminar page. 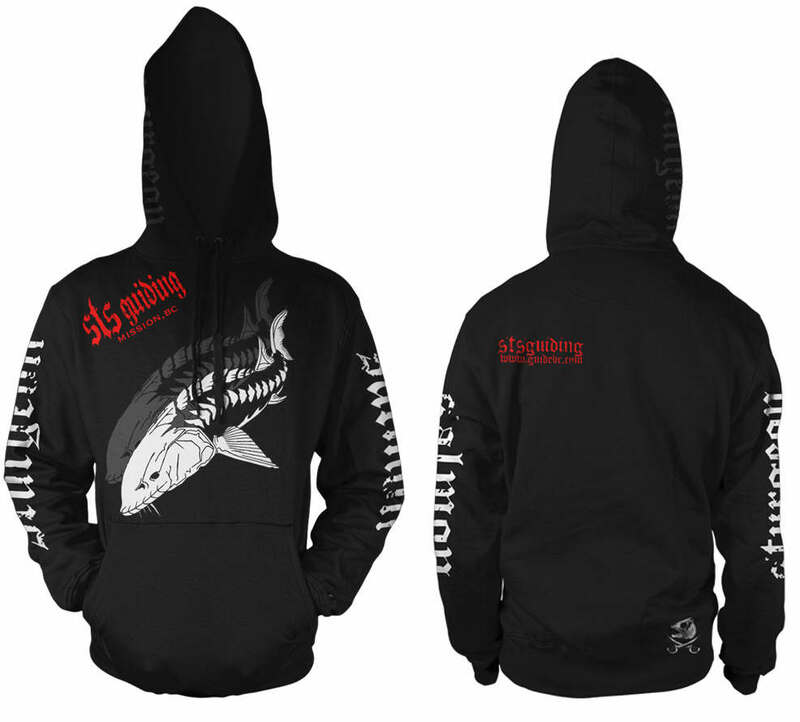 We are also selling our very popular sturgeon hoodies designed by Fishbum Outfitters and our extremely popular Hells Gate Tours. We also have several specials available when you book two or more seminars, receive a FREE STS Hoodie or get a discounted rate. These Hoodies are also available FOR SALE and make a great Christmas Gift for only $50, we will pay for shipping anywhere in North America. Both these tours are available from July 1 to Sept 30 on both weekends and week days. These are great for Christmas gifts. Early December is what we like to refer to as a transitional period or diehard crazy. 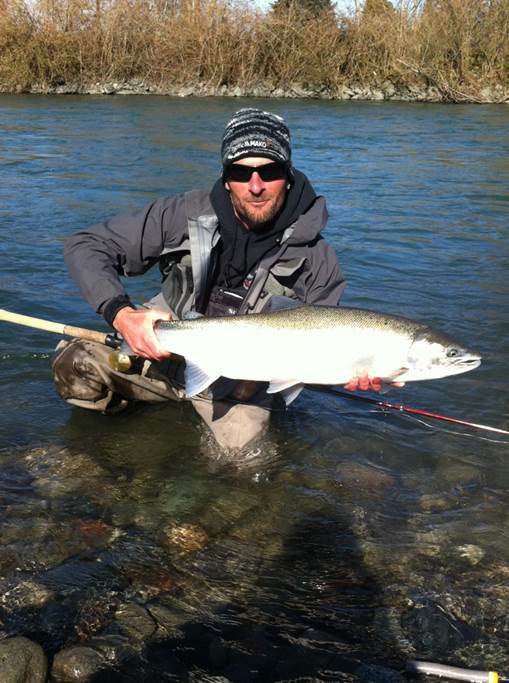 The weather is quite cold, peak salmon season is over and steelhead season is still several weeks away. Why I say diehard crazy is that most of our guides and local anglers have fished hard since August and now would be a good time to take a break and wait for some steelhead to show up. Instead the diehard crazy’s are still out trying to find that last chrome Coho or first steelhead of the year. 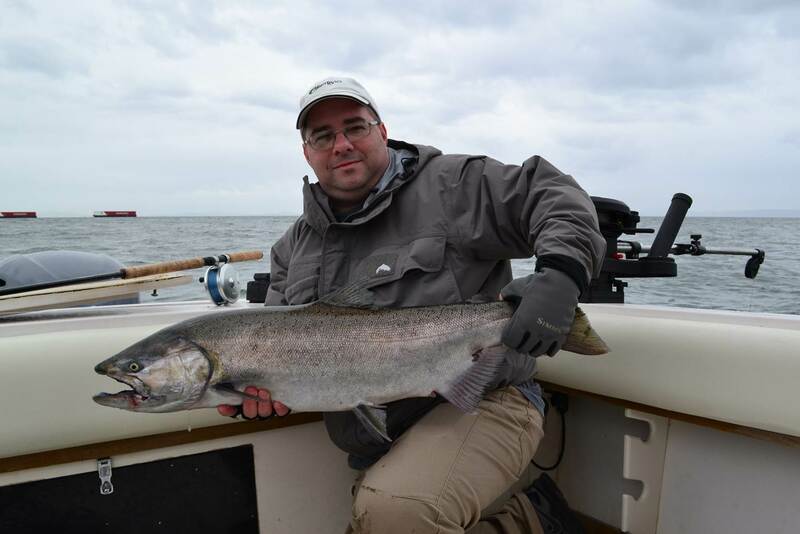 STS Head Guide Tom Pearce with a beauty Steelhead caught in 2013 season. 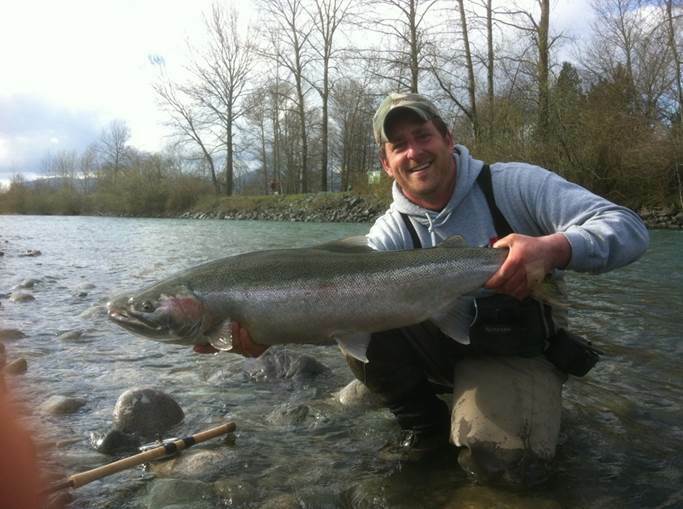 For those of you who are Diehard Crazy, there are still nice chrome Coho out there to catch. This past Fall was some of the best Coho fishing we have seen in many years on the Fraser and local tributaries so if you can bare the cold, it is probably worth your time. The Harrison would be my first choice but the Chehalis would be a close second. Put the big gear away and bring out that low water gear, my favorite for December Coho is a 9ft to 9ft 6" drift rod with a single egg patter with a bit of white wool or a fly rod set up dead drifting glo bugs. Talk about Diehard Crazy, They don’t anymore crazy than STS Guide Thomas Rutschmann. But there is a good chance that you will pick up that first steelhead of the year. If you only have a 10ft 6 river rod it will work fine, I just prefer a shorter rod when water is low and clear. 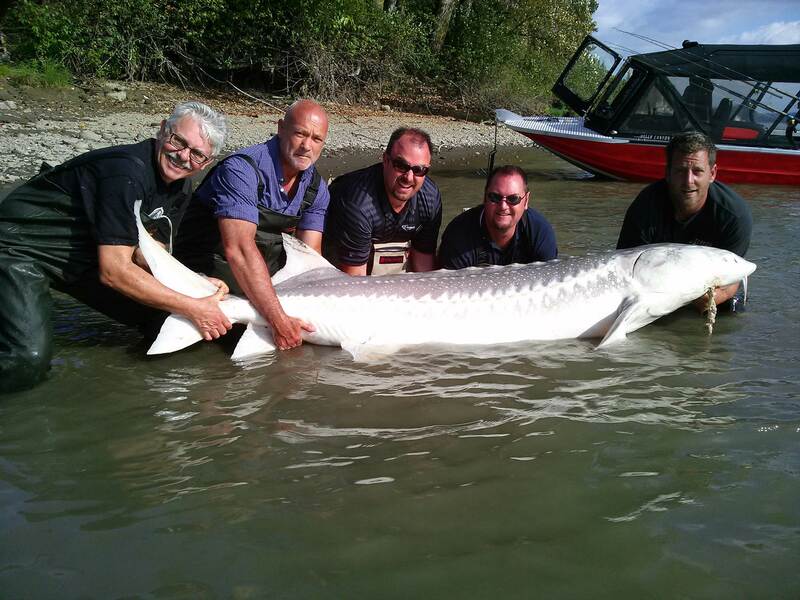 We will be taking a break from Sturgeon fishing over the winter months as will resume fishing when water temperatures begin to increase in middle of March. You might see us out a few days tagging some juvenile sturgeon but for the most part we prefer to leave these fish to rest during the peak winter months. 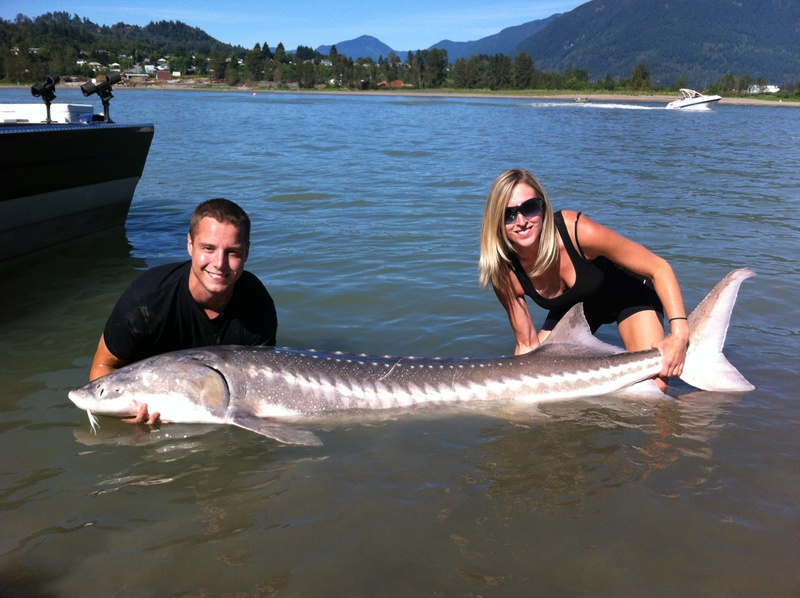 2013 was a great season for sturgeon on the Fraser with many large sturgeon caught by our guests from around the world. We are truly blessed to have such a fishery in our back yards. Winter Chinook fishing can be quite good in the Vancouver area, these fish are between 8 to 12lbs and can offer some good action. This fishery is also very inconsistent but again when it is on, you can have some great days on the water. We are so lucky to not only have this fishery in our back yards but even more so to have one of Canada’s best lure manufacture making gear specifically for us to go out and catch fish. 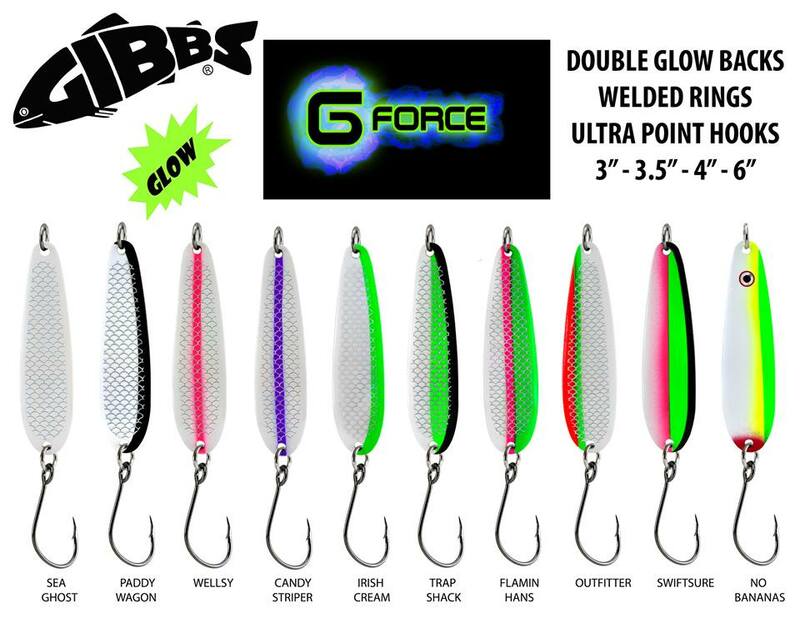 Gibbs/Delta has been around forever, they are located in Delta and work closely with local guides like STS and Bon Chovy to design and dial in some of the most productive flashers and tackle available on the market. If you’re looking for some inexpensive tackle for Christmas Gifts, drop by your local tackle store and pick up some of those new Highliner flashers and G-Force Spoons that are hot for both winter and summer Chinook. During the 2013 fishing season we mounted a Drift Camera on one of our boats and did quite a bit of filming. Although we are no expert at filming fishing, we did get some great footage in both the Mission area, Vancouver salmon and canyon sturgeon. Over the winter we will be posting these video’s on our new YOUTUBE channel so please check it out and subscribe to our channel. We will ENTER YOU TO WIN A FREE GUIDED FISHING TRIP if you subscribe before Dec 31. Last but not least we would like t thank all of our friends and guests that fished with STS this past season, thank you so much for your support and we hope to see you back in 2014 for some more sore arms, great fun and laughs. 2014 is going to be an exciting year for us as it will be our 20th anniversary on the water as STS Guiding Service. We will be offering some great deals and have some exciting new clothing designed by FISHBUM OUTFITTERS. Have a great holiday amd Merry Christmas from all of us at STS. 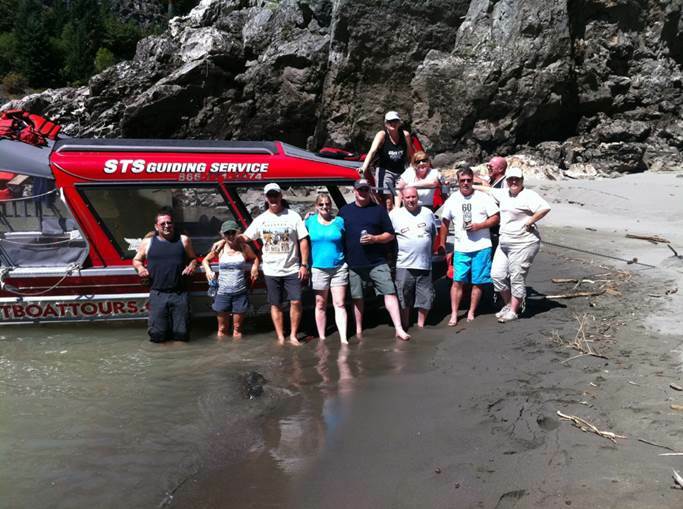 You are currently reading STS Report for DEc 4,2013 at Hells Gate Jet Boat Tours Blog.